RC = Royal Cut. 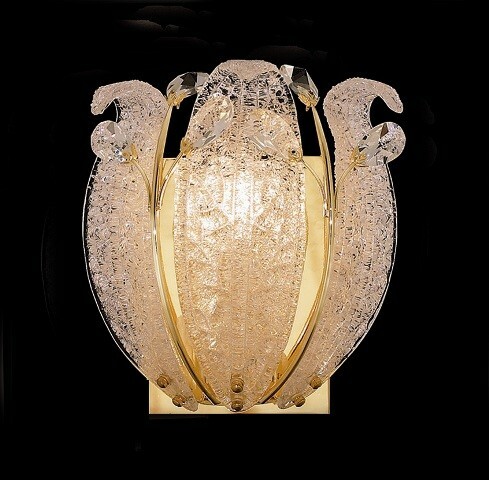 A combination of high quality lead free machine cut and machine polished crystals & full-lead machined-cut crystals to meet a desirable showmanship of an authentic crystal chandelier. EC = Elegant Cut. Elegant Cut Crystal consist 100% of high quality full-lead machine-cut crystal that is above industry standards. It possesses harp faceting polished to a visual radiance. SA = Spectra® Swarovski®. This breed of crystal offers maximum optical quality and radiance. Machined cut and polished, a Swarovski technician’s strict production demands are applied to this lead free, high quality crystal. SS = Swarovski® Elements (Strass®). An exercise in technical perfection, Swarovski® Elements crystal meets all standards of perfection. It is original, flawless and brilliant, possessing lead oxide in excess of 39%. Made in Austria, each facet is perfectly cut and polished by machine to maintain optical purity and consistency. An invisible coating is applied at the end of the process to make the crystal easier to clean. While available in clear it can be specially ordered in a variety of colors.